MTS India, the CDMA mobile service of Sistema Shyam TeleServices Limited (SSTL) today announced that it has tie-up with 200 operators across 90 countries to provide seamless International Messaging services to its subscribers in India. With this tie-up MTS India can able to offer such services in various International destinations including Australia, Brazil, Canada, Egypt, Hong Kong, Indonesia, Japan, Korea, Malaysia, Mexico, New Zealand, Russian Federation, Saudi Arabia, South Africa, Singapore, UAE, United Kingdom, United States of America. MTS India CDMA Mobile services was launched in India in March 2009 and in less than a year the company has notched up an impressive subscriber base of more than 3 million. 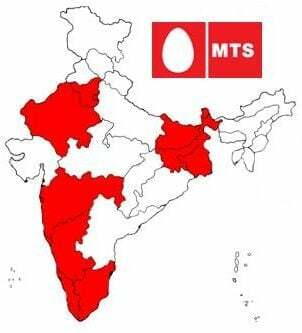 MTS now has operations in eleven circles which include Tamil Nadu including Chennai, Kerala, Rajasthan, Kolkata, West Bengal, Bihar-Jharkhand, Delhi, Karnataka, Haryana, Mumbai and Maharashtra-Goa.